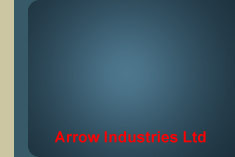 Arrow Industries are a long established manufacturer and supplier of plastic moulded components. 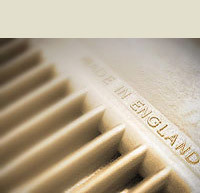 Although not their exclusive area of expertise, Arrow specialise in the manufacture of various quality items for the equestrian world, inlcuding Riding Hat Shells, Hat Vents, Stirrup Treads, Blinker Cups, Mane & Tail Combs, and Overreach Boots. Intelligent content planning: Before we begin to even contemplate the design or structure of any Website we carefully address the issue of how the content will be suitably organised and eventually presented online. Good content planning consequently ensures that we design accessible Websites with clear-cut navigation and uncomplicated well laid out structures. As a result visitors are able to find the information they want without any apprehension, delay or frustration. Original custom design & build: As with all of our work, this Website was custom crafted from the ground up to give our client a unique online presence. 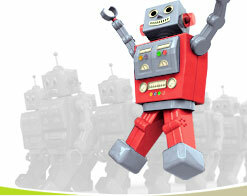 Custom graphics and artwork: Various original key graphics & images were painstakingly created for this Website. Photography: Various key photographs were expertly taken and skilfully enhanced / manipulated for inclusion within the site. When the site's enquiry form is submitted, its contents are immediately sent to the appropriate staff at Arrow Industries, whilst an automated "thank you" response is also courteously sent out to the enquirers email address. Our enquiry form feature also incorporates various sophisticated anti-spam filters. Custom created Flash animation: As a subtle but effective extra feature for this site we took the company's exiting logo from print to screen as a simple but eye-catching animation. This is used to good effect as each page loads. In the "want it now!" world of the Web, few su rfers are willing to wait whilst a Flash feature loads. Accordingly we are always mindful to create FAST loading and efficiently designed Flash features, ensuring the greatest experience for all Web surfers. Web hosting and housekeeping services - an ongoing commitment: Through our own fast and reliable professional hosting services we successfully deliver the AI Website around the globe. 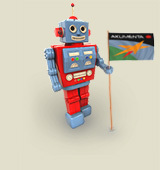 As part of our standard and affordable annual hosting remit we also handle all Website content updates for the company. We perform such housekeeping services for many of our customers who find our ongoing commitment to their needs invaluable.